Think Burrus Blog: What's Your Fall Herbicide Program? What's Your Fall Herbicide Program? With harvest coming to an end, it is time for growers to begin prepping for the next year by applying fall herbicide to their fields. 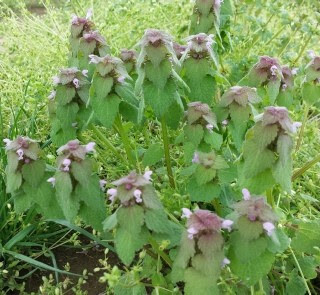 Fall herbicide applications are often made on no-till fields targeting winter annual species such as marestail (horseweed), purple deadnettle, henbit, and chickweed. Applying a herbicide in the fall can help control these weeds prior to them reaching the reproductive stage and will allow for a cleaner field prior to planting next year’s crop. 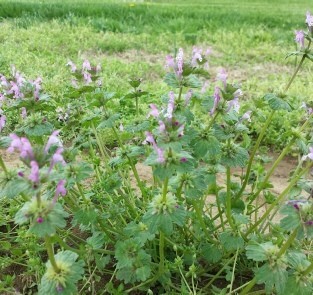 Purple deadnettle (top) and henbit (bottom) are both alternative hosts of soybean cyst nematode (SCN). If these weeds are not controlled in the fall, SCN levels can continue to increase rapidly and infect the following soybean crop. In the Burrus footprint, the application timing is likely between early October and Thanksgiving. Since the target of the fall herbicide application is the emerged winter annual species, it is important to allow the weeds time to germinate and emerge through the crop residue. Applying the herbicide too late can cause issues with poor herbicide efficacy due to reduced activity within the plant. Fall programs typically include dicamba and/or 2,4-D plus glyphosate to control weeds that are currently emerged. To get residual control of emerging winter annual species, residuals can be applied as well. The chart below shows recommended herbicide programs based on next year’s crop. It is important to not rely on the residual to provide control of spring emerging weeds. Most university research shows that a soil residual herbicide in the fall will deteriorate and not control the summer annual weeds (i.e. waterhemp) in the spring. As always, follow the herbicide label when making a herbicide application. For more information regarding fall herbicide programs for your farm, contact your Burrus agronomist. What is a Tassel Ear?